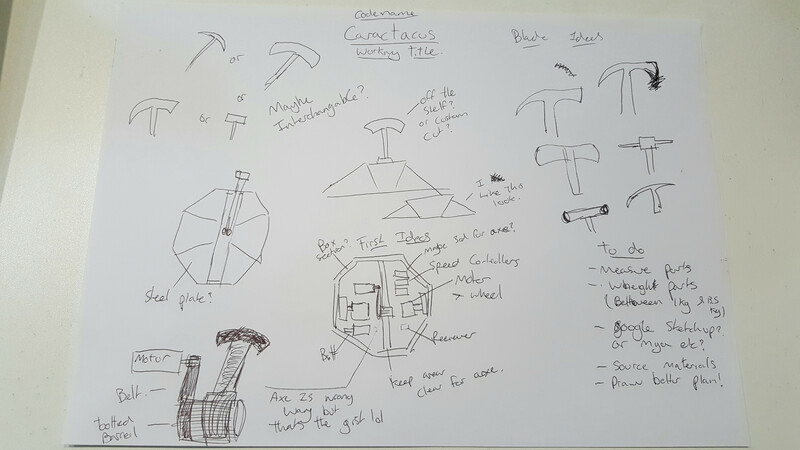 Thread: Build Log | Caractacus - Any Tips? I have bought a Spektrum DX6i transmitter after asking a few questions down at Robot Wars Live Gloucester as well as some research online. I was just wondering if you guys could give me a few tips based on your experience? - Would you recommend a Spektrum receiver and if so/not which would you recommend? - Im looking at a steam punk look but would iron/steel be too heavy as armor? - Im looking at using the BotBitz 85AMP Electronic Speed Control (v2) as I looking at cordless drill motors. Thoughts? - Is CAD design worth doing? and if so, what software would you recommend? - Any other general tips? Any information at this stage is very much appreciated! I eagerly await your responses! -Yes Ranglebox's 85A ESCs will do fine for a featherweight, as will drill motors. Just be prepared to find a wheel that'll fit on the 3/8 UNF thread. -If you can use CAD programs, go for it! I find it helps get a much better visualisation of your robot before you go buying up all the parts you need, or ordering waterjet-cut steel. I used Sketchup, but if you're experienced with more advanced CAD programs like Solidworks or Autodesk, they'll probably help you estimate weight as well, among other things. Thanks a lot for the reply! Some awesome feedback :-) Also glad you like the name ha ha! 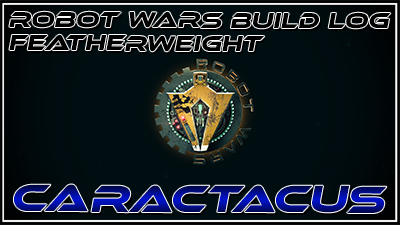 Out of interest, what is your robot? I'm always interested in seeing other peoples projects! Here's my build diary thread since you asked, I haven't updated in a while but I've been quietly working on it these last few months - it's getting near to completion. Mate, that looks sweet! :-) Cant wait to see it in action! I forgot to ask before -_- but what would you recommend battery and charger wise? I have been looking at the Turnigy LiPo battery's. Any thoughts? Team RCC has a few Turnigy's in use. If the mAh and C rating is chosen well, no problem. Wireless Madness have a bunch of batteries that I haven't seen anywhere else. Not heard of the brands, but they were good for my rc gear the batteries have the connectors for balance chargers too which I didn't spot on the cheaper ones. I was going to string 2 x 7.4v (for a 15V motor) together, but they have some 14.8 V ones that look tasty. What do people think of this one? Last edited by lowndsy; 26th October 2016 at 16:40.